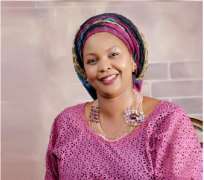 Diaspora Subscribes to Senator Binta Masi Garba and others 35% Female Affirmative Action Bill. No one understands affirmative actions like folks in diaspora, for witnessing and participating in various underprivileged – immigrant – alien – minority programs in an egalitarian society, where privileges freely made available and accessible in countries of residence, however, it may vary but from country to country. The fact remains, affirmative actions are widely and promptly addressed with dignity and respect. A handful of National Assembly members are beneficiaries of these promulgations from visiting, living and studying abroad. Egoism factors are common with African men, thereby holding on - riding on, doing business as usual and covetous to act humanly towards to spouse, girls-child, widows, veterans, etc. dearly in need of affirmative action bill passed. Kenya, Guinea, Namibia, South Africa, etc. and the giant of Africa are lamenting to cast ballots as legit Nigerians despite wiring billions of dollars annually. If either of these bills is not passed proactively, now that the party is in the majority in both upper and lower house, when will such an opportunity to resurrect with a predetermined toughest contest in 2019. A shift from the center is envisaged, confirms that the game changers like diasporas are about to be used again in the fourth coming poll, regardless of senates recent decision on affirmative action is discriminatory, hence, sends another worrisome - negative message to women voters, at the time women are most needed to declare another victory in 2019. Very interesting bill proposers’, Senators: Binta Masi Garba, All Progressives Congress (APC), Adamawa, Biodun Olujumi, the Senate Deputy Minority Whip, and Rose Oko, Peoples Democratic Party (PDP), Cross River origins reasonably cuts across geo-ethnic groups and political lines, reason why the bill should be reconsidered not less than 90 days. reasonable percentage of women into positions of governance. • Unavoidably true, the same women are hired for campaigns to sing and dance for males. Yet, not got in a fair share of governance activities. • Either of these are not moving us forward and regrettably we are not partners in progress. to perform their individual and collective civic rights to teeming Nigerians in grand style. Shook her head and paused a little. We are supposed to be partners in development. Wow! One day, we will overcome slipped from her neatly. killings, male/female relations, and alternatives to violence, disabilities, veterans and widows, etc. senate’s reconsideration of the bill in 90 days. felt needs - cooperatives and mergers to contest. In furtherance to the, Arise! Nigerian women! workshops, international engagements, rewards, awards, recognitions, etc.